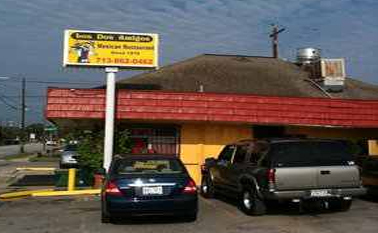 People consider Los Dos Amigos as a gem specially for those who are looking for authentic Mexican food along Washington Avenue. Patrons love this small resto for many reasons - location, ambiance, the mix of people, friendly service, affordable prices, etc. May not be the best Mexican restaurant in the city but a place where you can get quality enchiladas for a reasonable price. Small, old, understated, inexpensive, and good! Everyone who works there speaks both English and Spanish, and a lot of people eating there speak Spanish as a first language, a qualification for legit Tex-Mex. It's a very community atmosphere.